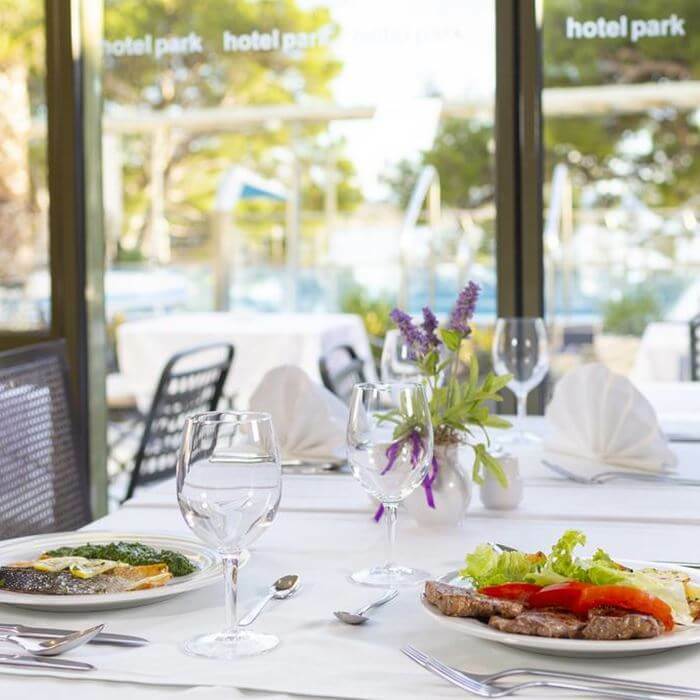 Book your luxury holiday to Croatia at Hotel Park a luxurious beach front property situated at the foot of the Biokovo mountains, within easy walking distance of Makarska’s town centre. 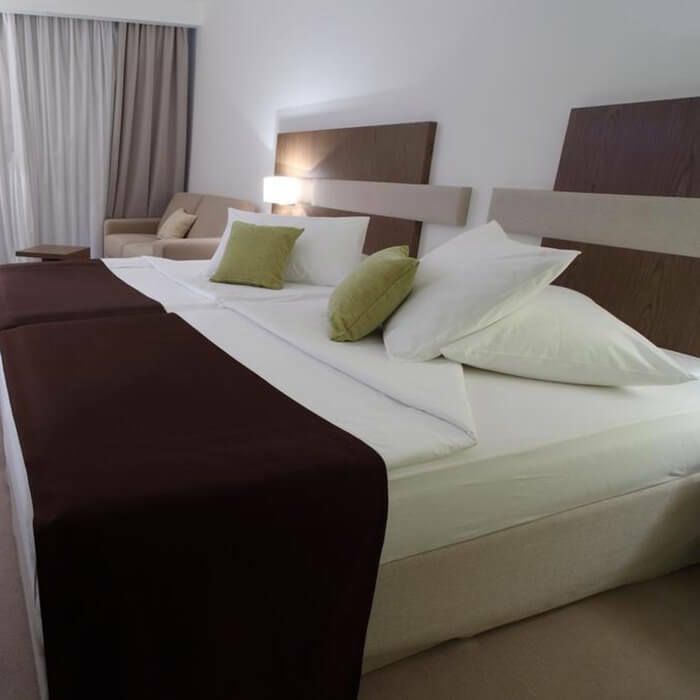 The comfortable and modern hotel boasts stunning ocean views and a wealth of on-site amenities, making this a great place to enjoy your luxury holiday. 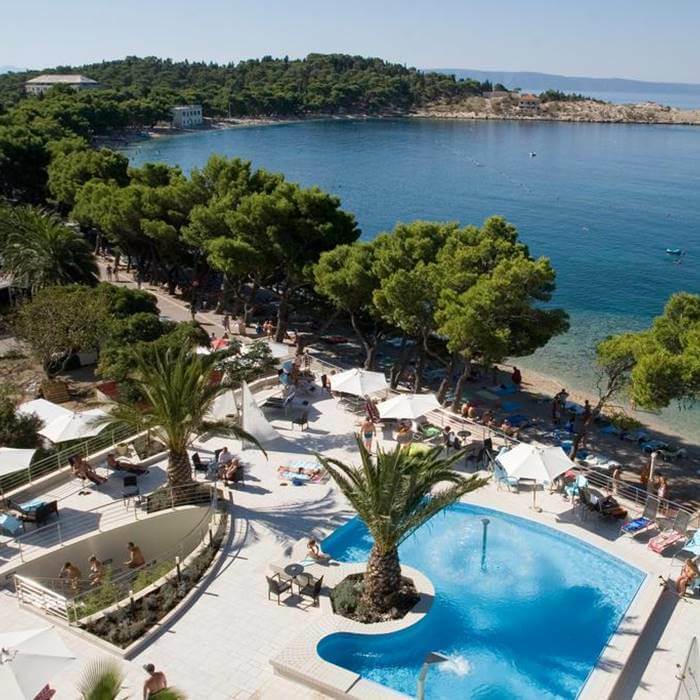 Hotel Park is located on the Makarska seafront’s paved promenade, at the foot of Mount Biokovo. 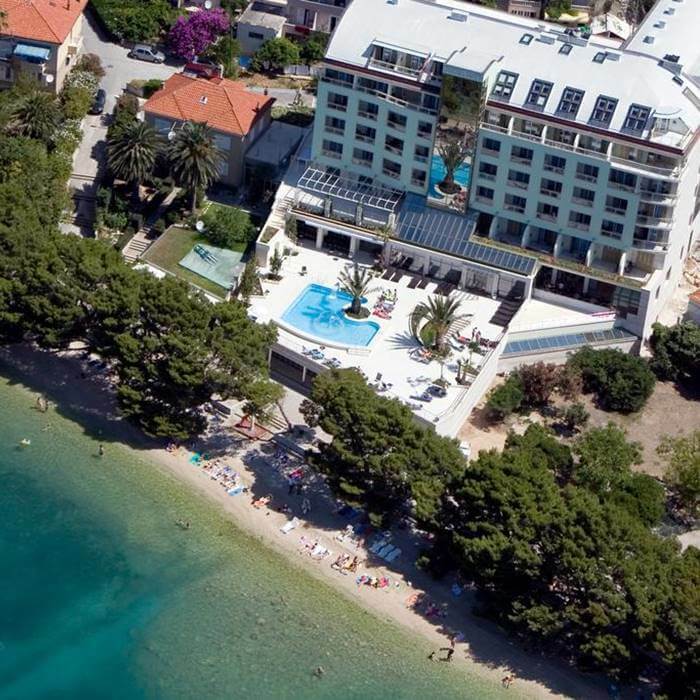 The prime location means that guests do not have to walk far to enjoy all that this popular Istrian resort has to offer. 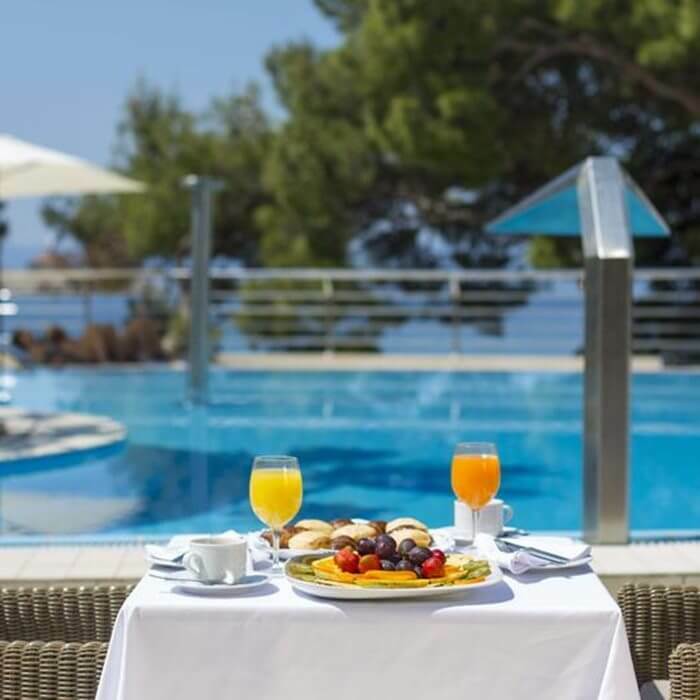 The charming hotel has 89 luxurious air conditioned rooms, with balcony views across the crystal clear Adriatic sea, to the islands of Brac and Hvar. 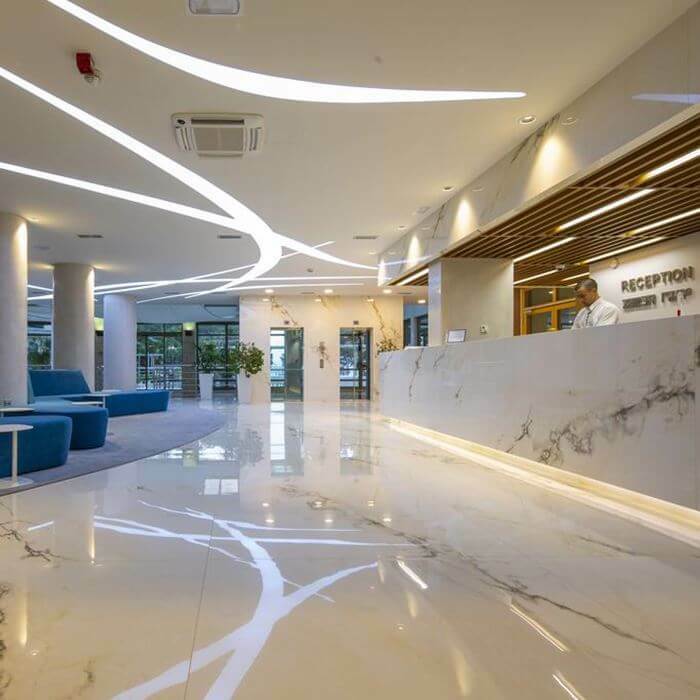 On-site, guests can sample authentic local cuisine in the two restaurants, enjoy a refreshing drink in the lobby and beach bars and take full advantage of the wellness and fitness facilities available. 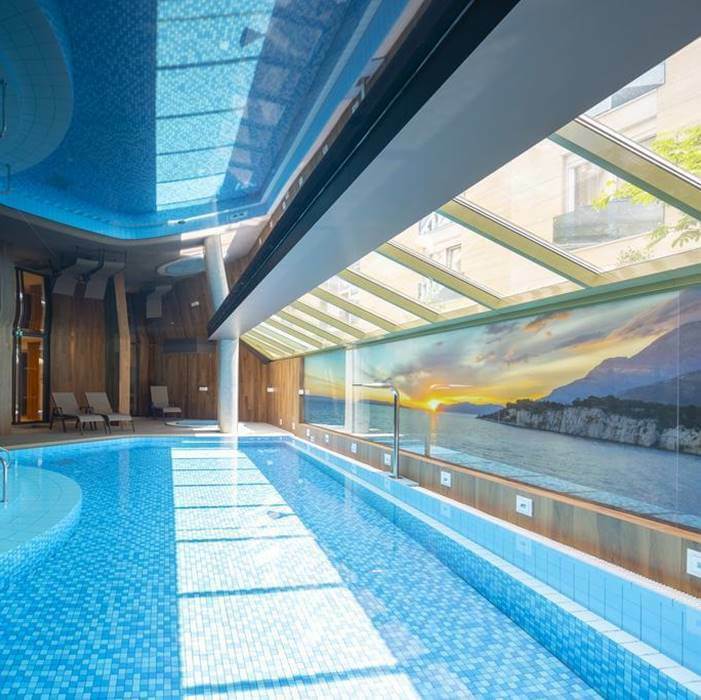 Hotel Park boasts two freshwater pools and a fully equipped fitness gym, plus sauna, steam room and Jacuzzi. 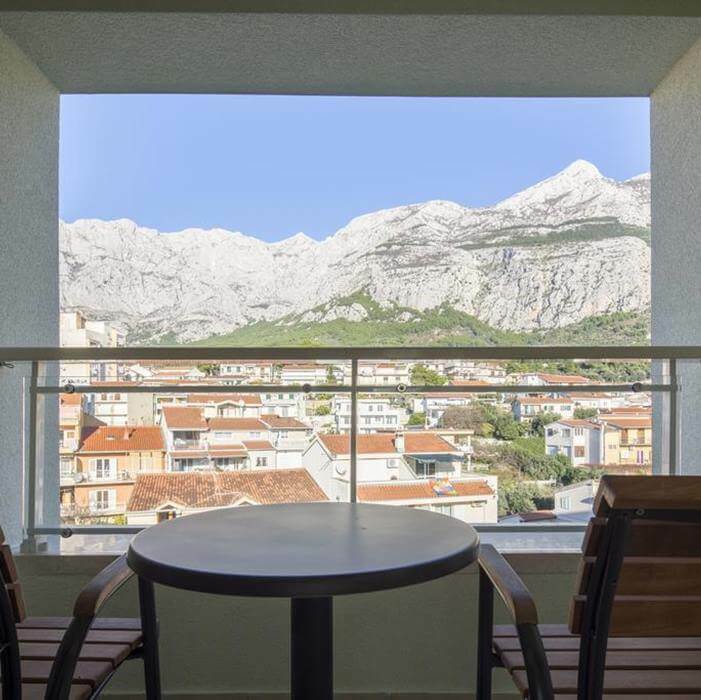 The centre of Makarska lively town is a popular tourist destination and has plenty of restaurants, bars and bistros to visit. Aside from the harbour and pebble beaches there is a good range of watersports facilities nearby, as well as a tennis centre and boat rental. To fully enjoy the peace and tranquility of this luxury Croatian holiday, a hike or trek along the numerous mountain trails will lead you to the scenic peaks of Mount Biokovo.